This type of innovative product is a unique yet hugely admissible form of consumption. Powdered saffron is just plain saffron (whole threads) grounded and made into powder form for easier use. It is highly recommended for the everyday consumer as it releases the color, aroma and flavor within seconds for instant use. The 'Red / Orange dot' on the forehead is not always only red / Orange, nor is it always a dot. The dot is called 'Kumkum / Chandan Tika or 'Bindi', and when worn by men it is called 'Tilak' (mark). Usually Hindu women, priests, monks and worshippers wear it. 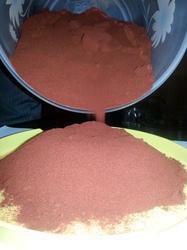 For customers looking for cost effective saffron, powder form is best option. These are widely recommended among our customers. Comprehending the varied desires of our clients, we are instrumental in presenting Kesri Powder. Our organization is engaged in manufacturing, supplying and exporting a range of pure quality and aromatic Saffron Powder, which is made using saffron. These are extremely safe and hygienic to use. Further, our range of Saffron provides a rich color to the cuisine or delicacy. Our range is used for preparing several herbal medicines as well. Our clients can avail from us Kesar Elaichi Powder that is appreciated for its features like taste, aroma and nutritional level. Procured from reliable sources, the powder offered by us is highly demanded. Moreover, we make sure that our entire product line complies with domestic quality standards to gain utmost client satisfaction. Asthagandha kesar chandan powder is used by people for some purposes. 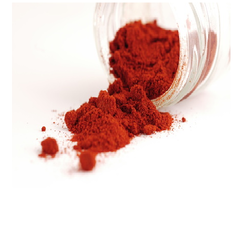 It is a special quality powder. .
We are leading producer of High Quality Saffron Powder. Saffron powder is mostly used by Chefs, Caterors and Sweets Manufacturers.